Located northwest of Odebolt or northeast of Ida Grove Iowa. Go west on 175 from Odebolt to Cory Avenue then north on Cory Ave. Alternate Go north from Odebolt on M43 to 270th Street. Go west on 270th to Cory, then north on Cory Ave to the location. 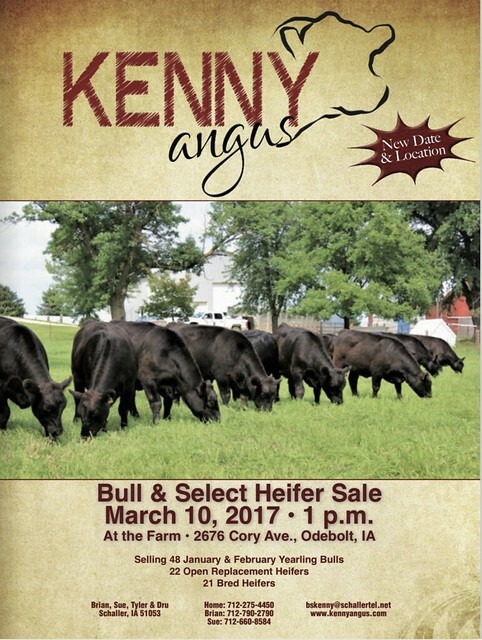 Its the Kenny Angus Bull & Select Heifer sale March 10th at Odebolt Iowa. 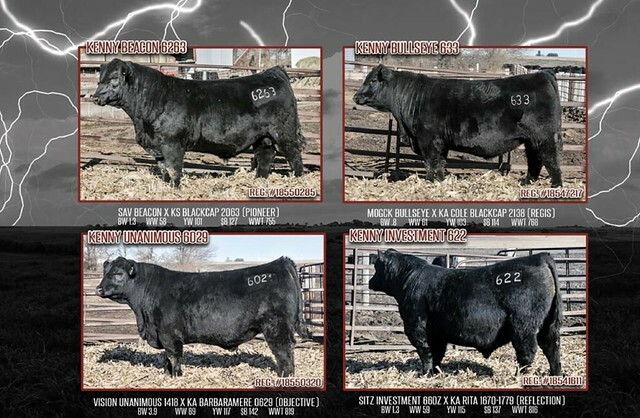 48 Yearling Bulls, 22 Open Replacements, and 21 Bred Heifers. 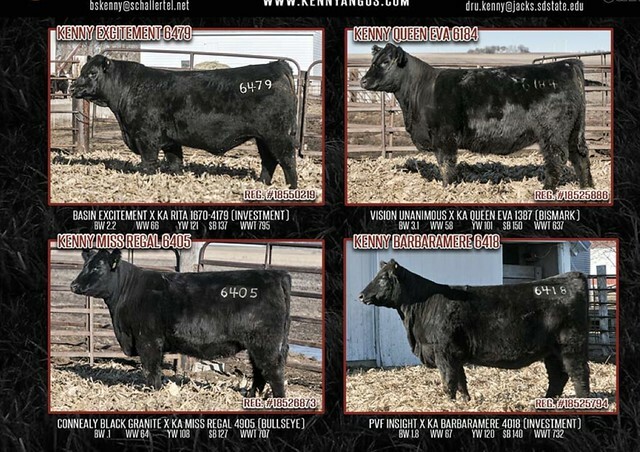 The cattle can be viewed at the farm any time prior to the sale at 2676 Cory Avenue Odebolt Iowa 51458.